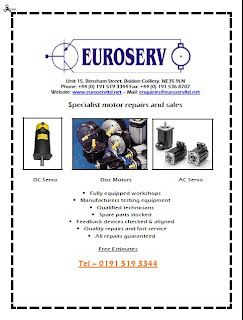 This advert is used to promote Euroserv in the electrical, industrial, maintenance and elevation trade press. 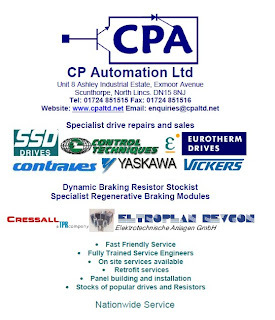 This advert is used to promote CP Automation in the electrical, industrial, maintenance and elevation trade press. Tony Young is a director of CP Automation, the specialist in the repair and replacement of automation equipment including electronic boards, PLCs and Ac and DC drives. It was established to provide an independent maintenance service, without exclusive ties to any manufacturer. However, it does have strong relationships with the principal inverter, encoder, resistor and motor manufacturers. He can be contacted at tony.young@cpaltd.net. Richard Stone is the managing director of technical PR and online marketing company Stone Junction. He provides services ranging from media relations and Blogging to e-mail marketing and Web site content provision. His past experience includes campaigns on behalf of companies such as Schneider Electric, WorldCom, SKF and Parker Hannifin. He is also the editor of daily marketing Blog Insights into PR and Marketing. Contact him at richards@stonejunction.co.uk.